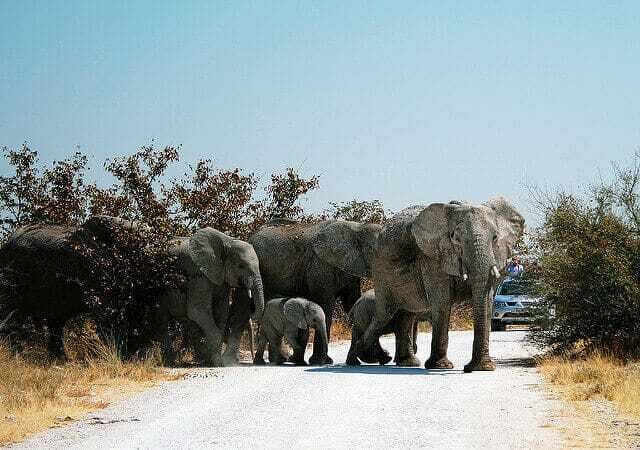 Etosha National Park is one of the most popular places in Africa to spend a few days experiencing a truly African safari, with several accommodation options available both inside the park and nearby. The selection of camps inside Etosha National Park can get crowded, and those who prefer a more exclusive and luxurious experience can book into a number of establishments on the eastern fringes of Etosha and still enjoy an authentic safari experience. Eastern Etosha accommodation features world-class luxury along with Namibian hospitality and is located close to Von Lindequist gate for easy access to the park. You can look forward to walking trails, game drives and bird watching excursions while resident at any of these camps. Emanya Lodge is a 5-star establishment providing exquisite luxury coupled with true African serenity and scenery. 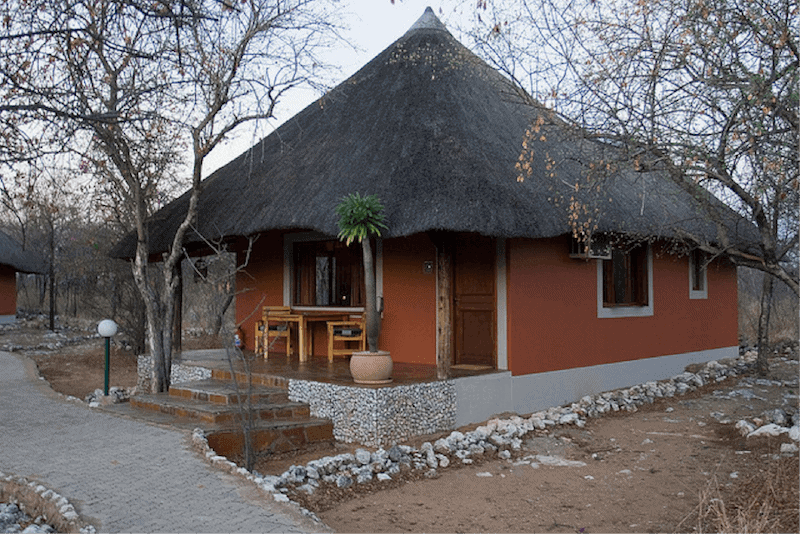 A maximum of 40 guests can be accommodated in this private camp located 20 minutes from Von Lindequist gate. The lavishly appointed chalets feature air-conditioners, television, en-suite bathrooms and tea or coffee making facilities. Meals are of a high standard, served in a communal dining area overlooking the waterhole, which attracts kudu, eland, waterbuck, wildebeest, giraffe, oryx, sable and roan antelope. Natural beauty coupled with European standards of luxury and two exceptional restaurants make the tranquil accommodation at Mokuti Lodge a popular choice among International visitors. Dining options include local delicacies such as springbok carpaccio and marula parfaits, as well as a range of familiar international meals for the less adventurous. The accommodation at this highly-rated establishment is in thatched chalets similar to those at Emanya Lodge. Ten well-spaced luxury lodges surrounding a sparkling swimming pool at Mushara Lodge. Rustic, family-friendly and affordable tented accommodation at Mushara Bush Camp. The 16-sleeper Mushara Outpost Camp with its custom-built deck mounted tents. Mushara Villas, with just two immaculately equipped and exclusive villas and five-star dining. This private reserve borders on Etosha National Park and provides access to exciting game drives within the 35 000 hectare reserve, in addition to those offered in the park itself. Those who love their luxury will enjoy the private mini suites of Onguma Fort with rustic wooden decks and views towards Fischer’s Pan. Small, intimate and private, Onguma Tented Camp is a favourite for couples and honeymooners. Groups of friends enjoy Onguma Tree Top Lodge, which has only four tents, all built on stilts with sloping thatched roofs, canvas walls and refreshing outside showers. Family-friendly Onguma Bush Camp features lofted family rooms, a fenced play area and a games room. The exquisite Onguma Etosha Aoba provides outdoor dining, an award-winning wine list and hospitality to match.